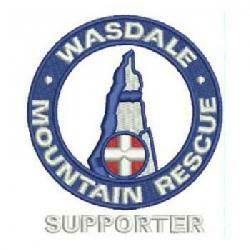 Cumbria Police paged the team to assist Langdale Ambleside MRT with a lost male walker. He was in the Crinkle Crags area and Wasdale were requested to search Green Hole, the top end of Eskdale below Crinkle Crags. As the team were approaching Eskdale he phoned into the police from the telephone box at the bottom of Hardknott after managing to walk out. Incident closed at 6.30 p.m. with ten team members involved and a SARDA search dog and handler.